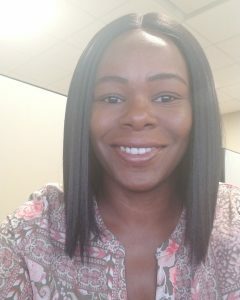 The Florida Sheriffs Risk Management Fund is pleased to highlight team member Katina Ferrell, a Workers Compensation EDI (Electronic Data Interchange) Specialist, who joined us in April. Katina works with Sheriffs’ Offices to process information the state of Florida requires during claims, lost-time claims, denied claims and other important documentation. She is also responsible for the development, coordination, implementation and management of EDI-related developments for the Fund. Before joining FSRMF, Katina gained valuable experience working with the Division of Workers Compensation within the Department of Financial Services for 13 years, in which she served several roles. “With my past employer, I provided customer service for those who were injured,” she says. In her current position with the Fund, Katina enjoys what she does and is glad she can make a difference in the lives of those who work in law enforcement. When Katina isn’t at work, she enjoys spending time with her family, especially her godson. Katina also likes to go on new adventures, wherever the wind (or her family), will take her. One of her favorite memories is visiting Universal Studios with her family earlier this year. We are grateful for the skills and talent Katina brings to the FSRMF team!